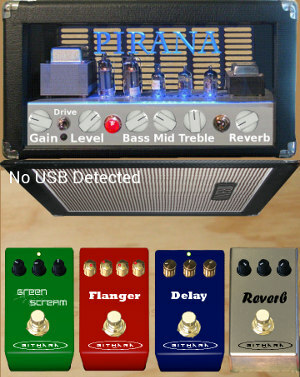 Githara Studios is where a passion for guitar resonates with a passion for technology. Most recently we have been adding features to a USB-based guitar effects app called usbEffects This is a great app that lets you plug your guitar into you phone or tablet using USB. With a fully configurable effect rack to let you create a range of sounds. Best of all a new look User Interface was recently added to this app after many people requested it. This app uses USB in and out which has allowed us to get audio in and out of the Android platform with very low latency -- a first for the Android platform as far as we know. The very latest upgrade for this app has included support for more USB devices. Check out a review of this app. We really appreciate Kevin Windross spending the time to help us make this video. Currently our most popular app is Delay Effects Plus. 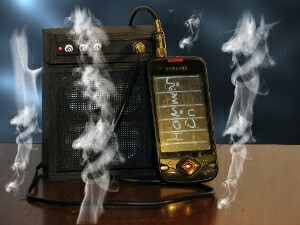 This is a great app to get you started rocking out with guitar through your Android phone. It has great effects and a range of output options. The only trouble is the delay! Google has been working hard on improving this situation and Lollipop and Marshmallow definiately make it better. If you have a newer phone that has small native audio buffers (like Nexus 5 or Galaxy Nexus), you are set. Otherwise, there will be plenty of delay and this can be a hassle. Still, there are hours of fun to be had and if you can't take the latency, you can always try usbEffects. Here is an older review of this app on an Italian Guitar site. HammerOn Guitar is Githara's first product and intended for the real Guitar Heros. The vision for HammerOn Guitar is to create a virtual jamming experience as close to the real thing as possible. If you want to play chords and sing kumbaya -- HammerOn Guitar may not be for you. But if you want to play screaming lead to the limits of the android platform then install now. See an older review of HammerOn Guitar on an Italian guitar web site.